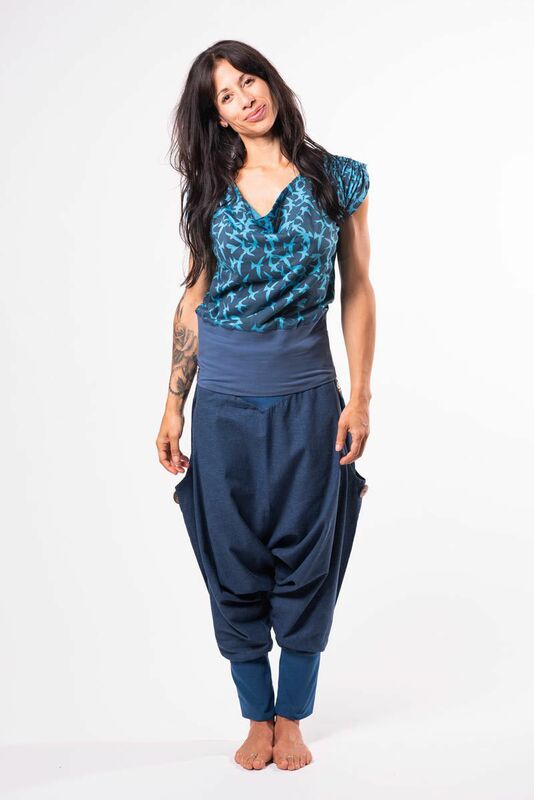 A very comfy and loose style top in organic cotton combined with fitted waistband in cotton lycra. 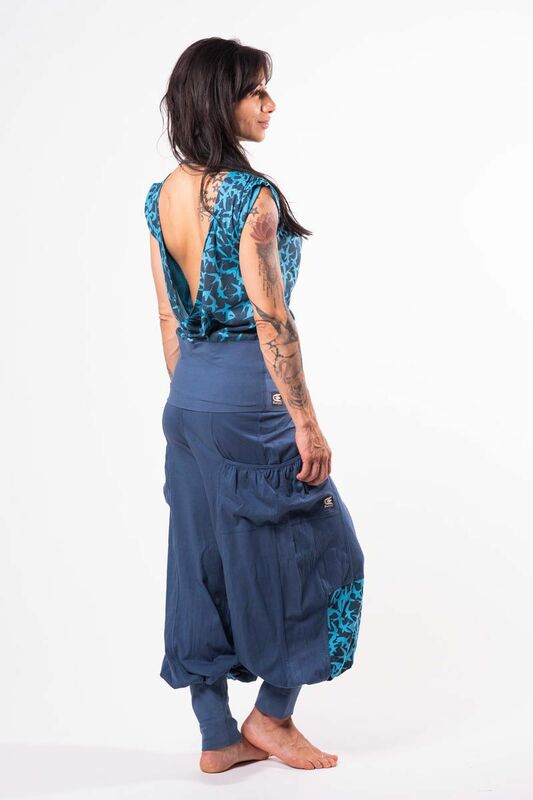 Low design in the back with fabric that drapes beautifully around the shoulders. The birdprint is our own design made in collaboration with our friends at Mönsterbruket. Designed in Sweden, made in Bali in sweet collaboration with owner and workers in small famiyowned business.